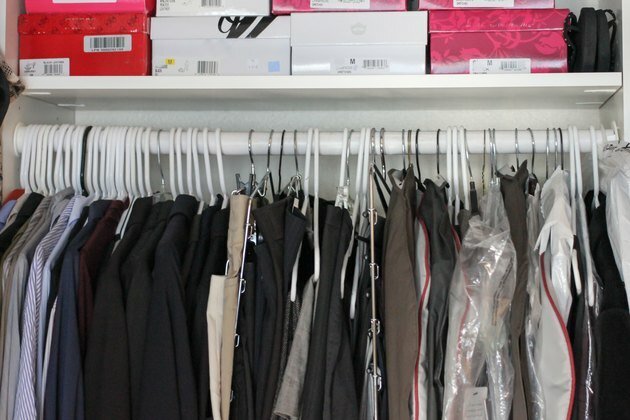 Closets are critical in a well-organized home. 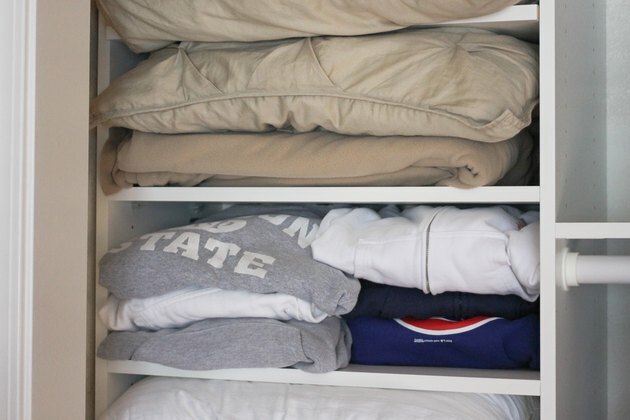 Proper shelving makes the closet more efficient and adds to storage space. Shelf height is critical to maximizing storage space while still utilizing the vertical area within the closet. Custom built-homes may modify the shelf heights to accommodate the heights of family members, but industry standards also determine shelf height. 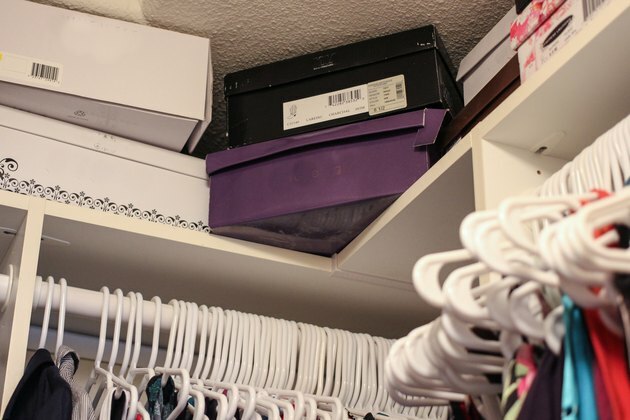 The very top shelf in the closet is commonly 84 inches above the floor level. This allows a double-deck arrangement of closet rods below this shelf. One rod is mounted just below the top shelf and the other rod is mounted 42 inches above the floor. At 7 feet high, the top shelf is a stretch for many people. The shelf is commonly limited to less than 12 inches wide to ease access. The top shelf can be mounted above all other shelf units in the closet and allows about 1 foot between the shelf and the ceiling. 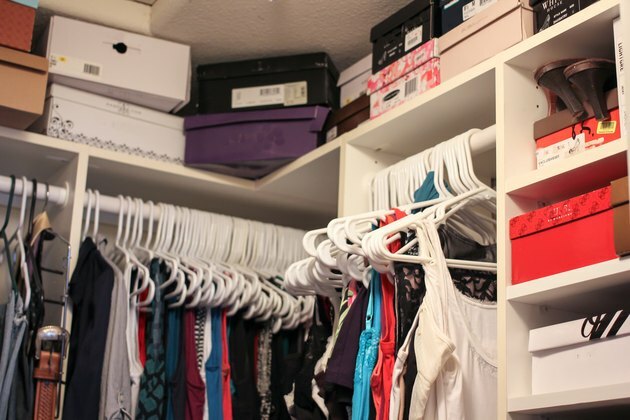 If a single closet rod is planned, it is commonly placed 68 inches above the floor with a shelf above the rod. This shelf can be up to 16 inches wide to provide more storage. Combined with the top shelf, this provides two shelves above the single closet rod. Linen shelf units are commonly placed below the top shelf and extend down to floor level. The 16-inch-wide shelves are placed every 15 inches vertically. These shelves are used for sweaters, shirts and other clothes not normally stored on hangers, as well as bedding. Linen shelves should be no longer than 32 inches unless there's bracing in the middle. 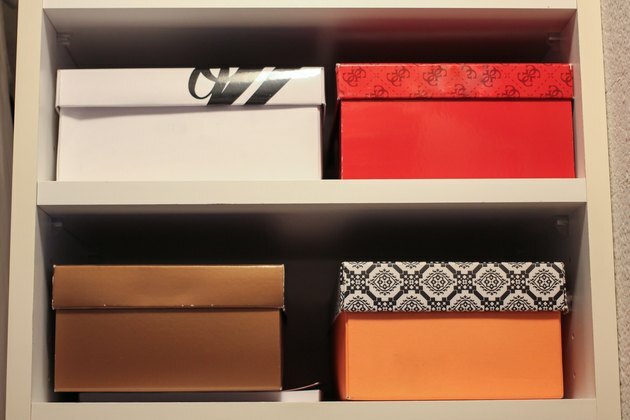 Shoe shelves can be placed anywhere in the closet arrangement. Vertically space the shelves every 7 inches to make the most use of the closet space. A unit combining linen shelves with 15-inch spacing and shoe shelves with 7-inch spacing can create a great deal of useful storage in a small area.